In the content marketing world, Facebook and Twitter sit atop of the golden pedestal of other social media platforms. That is not to say there is no other platform that can emulate the results seen on these two platforms. In fact, the social media marketing industry is constantly evolving and it is important not to restrict your vision and to constantly refine your practices. Often disregarded by digital marketers who look to position themselves on high-trafficked platforms, Pinterest offers significant potential. As of today, it is the fifth most popular social media platform with an estimated 250 active monthly users. Since the channel is visually appealing (which happens to be its USP), it also has a high engagement rate. This makes it perfect for companies that want to reach their target audience and funnel targeted traffic back to their website. 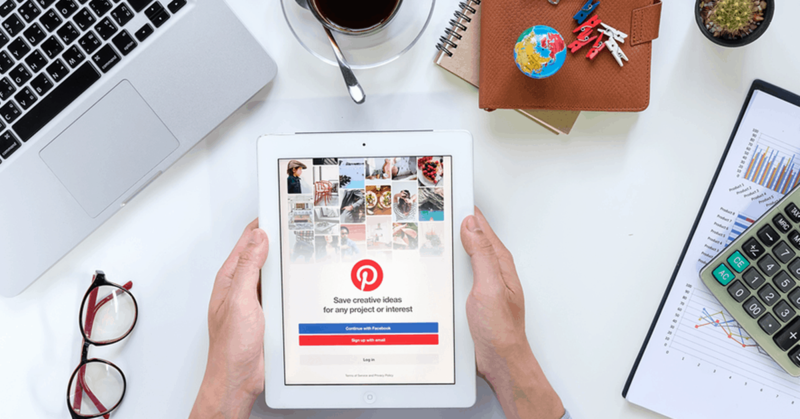 Written by our social media marketing experts in Toronto, this blog post serves as your complete guide to using Pinterest for marketing and branding purposes. Use it to jumpstart or augment your content marketing initiatives today. Although Pinterest is technically considered a social media channel, most people view it as a place for discovery. Essentially, it is a place to search for or stumble across ideas and products that can easily be sorted into a curated collection of resources. With a steady decline in referral traffic from Facebook and Twitter due to ongoing algorithm updates, Pinterest is seeing a steady climb in referral traffic. In fact, it is responsible, on average, for approximately 8% of referral traffic on the World Wide Web. 98% of Pinterest users say that they tried something they found on Pinterest and 84% state that they use the platform to help them decide what to buy. When you combine these stats with the idea that 97% of the most popular searches on Pinterest are non-branded, you are afforded with a worthwhile opportunity to get your products, services and content in front of the right audience and at the right time. Gender- 45% of Pinterest users are female. Men make up only 17% of the total of adult users. Millennials – 70% of Pinterest adult users are aged 49 and under. Higher income – 40 percent of Pinterest users have a household income of more than $100,000 annually, and 50 percent of users garner $50,000 or more individually. Mobile users – A whopping 85% of Pinterest searches are performed from mobile devices. Shoppers – Pinterest has the highest conversion rates. Most consumers who click on a product are ready become customer. 55% of Pinterest users use the platform to shop for their favorite products. Pinterest has no shortage of content for consumers to peruse. There are approximately 200 billion pins on 3 billion pinboards. To that end, Pinterest relies on algorithms to help them decide on how to preset content to users and which sort of content do the users wish to see. The Pinterest Smart Feed: Pinterest introduced the Smart Feed in 2014. Each users’ smart feed is organized based on what they are interested in and what they search for in the past. In recent years, Pinterest has gone from organizing the home page upon user login from chronologically to interest/search based. That means there will be no random cat pictures or dog pictures in your feeds, unless you subscribed to a channel that curates them. Targeted advertisements sponsored through the Pinterest system may appear on Smart Feeds as well. The Following Feed:Your following tab is a space that was created to feature the latest Pins from the friends/curators and boards you follow. Unlike the Smart Feed, the Following Feeds are organized in a chronological fashion. This means that posts will not appear higher just because they received higher engagement than other posts from other followers. Targeted advertisements sponsored through the Pinterest system may appear here as well. Pinterest Keyword Search Feeds: These are the results that appear when a user runs a search for a keyword or keyword phrase. Targeted advertisements sponsored through the Pinterest system may appear here as well. Pinterest Hashtag Search Feeds: Pinterest hashtag search feeds work similarly to the follower feeds. The results are heavily influenced by a given pin’s time stamp. The newer pins carry more weight in the listings. Hashtag searches can be triggered from the Pinterest search bar or by clicking on the existing active hashtags in a pin description. The expectation of you on Pinterest is no different from other social networks and discovery platform. All that is required of you is to pin regularly and consistently and with purpose. In Pinterest marketing, it is important to get into the regular habit of pinning when your followers are using the platform the most. Social Media Management Tools like Tailwind can help you select the best times to pin as well as to automate posting so that you do not have to do it manually. Do not try to beat the algorithms: It is important to post engaging content on Pinterest, as is the expectation with any other social network. Write content that your readers can easily relate to and that you know they will engage with. This will beat any algorithm that tries to work against you. Pinterest cares about engagement and user relevancy. They are in business, and they want to make sure they are giving their users the best experience possible. Create quality content: By this our digital marketing team means spending more time doing research, writing, and editing the things you write. It also means writing longer articles (approximately 1000-1500 words). If you are getting a lot of clicks to your website, but not a lot of repins, perhaps it is because your content is not of the best quality. The pin image and title get users to click on your links, but it is the content inside the article that converts the clicks to repins. Create multiple pins about one topic: Try different ways to represent your product or service on Pinterest. Having one pin per topic these days will not cut it. Your products must be presented in different ways for Pinterest Marketing to take effect. Once it can be an infographic another time it can be an informational video etc. Create Rich Pins: Rich Pins work the same way as the usual pins. They simply contain extra detail, such as real-time pricing, stock availability, and company logo. The purpose of rich pins is to make it easier for users to find you, recognize you, and be obliged to click on it. Pinterest likes Rich Pins and promotes them in smart feeds, which is where you want your content to be featured. Add Hashtags: Hashtags are a great search tool on Pinterest. Hashtags are used to search for the most recent content so you should incorporate both timely and timeless hashtags such as #valentinesdaygifts and #mothersdaygifts. Also be sure to use timeless hashtags and industry-related hashtags. You can add up to 20 hashtags in one given description, but do not overdo it. Get the Pin Button: The pin/save button appears directly on your website’s product pages, making it easy for browsers to pin (and share) a link to their own Boards. By having the pin accessible on your website, you are making it easy for your visitors to engage with you. As well, you are gaining knowledge of who has pinned content from your website and gives you the opportunity to engage back. The differences between a Pinterest account and Pinterest business page often go unnoticed because they are so subtle. Think of Pinterest account like your personal Facebook profile and a Pinterest business page like your Facebook page for your business. While both Pinterest profile and business page have similar looks and have comparable main features (e.g., boards and pins), business page gives you access to rich analytics like which pins are generating the most engagement, which countries are your viewers from etc. Essentially, a business account is more geared towards brands who use Pinterest as a marketing tool rather than for curating content for personal use. If you are using Pinterest to sell products/services or for brand management purposes, we highly recommend creating a Pinterest Business Account. If you already have a personal Pinterest account, you do not have to create a new account. Pinterest allows users to convert their accounts, if necessary, through an easy-to-follow process. You can access Pinterest’s Built-In Analytics Dashboard. You can advertise on Pinterest: Promoted Pins, Buyable Pins. Your Pins are optimized for business: Rich Pins and Pin Statistics for each Pin. Your account will get access to new features before the personal one. iRISEmedia is an award winning Digital Marketing agency located in Toronto, Ontario that focuses on helping clients in Canada, the U.S. and internationally with digital marketing services consisting of social media marketing, website design, SEO and SEM, app development, online reputation management and digital PR. Our team helps clients manage and grow their online presence and branding to increase their qualified web traffic and online revenue. For any internet marketing needs or inquiries, please contact us today at 1-855-493-3622 or visit us on our website. Alex Noudelman earned his Honours B.A. in History and Political Science in 2007 from York University in Toronto, ON. He went on to complete his Advanced Certificate in Adolescent Education in 2008 at D'Youville College and became a certified teacher in Ontario in January, 2009. He's been working in the digital marketing industry since 2010 and enjoys writing to intrigue his readers and educate them about the fundamentals. Feel free to contact Alex Noudelman if you have any questions or would like to see a specific topic covered on this iRISEmedia blog.